Everything about Menchie’s is designed for the best possible guest experience. If you want a great cup of coffee, you go to Starbucks. If you want to get the lowest prices on goods, you go to Walmart. 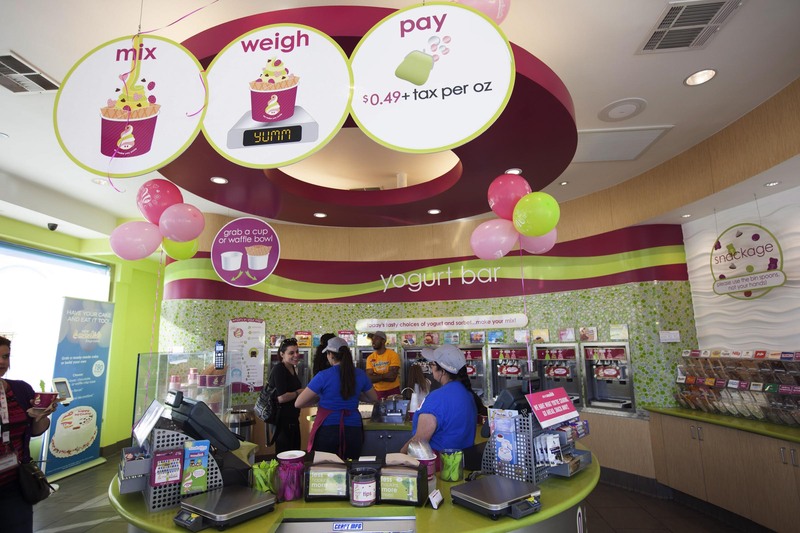 If you’re looking at froyo franchise opportunities that provide best-in-class customer intimacy, you need to consider Menchie’s. A state-of-the-art frozen yogurt vending machine has recently hit the market. Interestingly, these machines are even being franchised. As a franchise that provides a guest-driven experience when it comes to creating a fun, flavorful dessert, it’s a little hard for us to understand the appeal, either for consumers or investors. 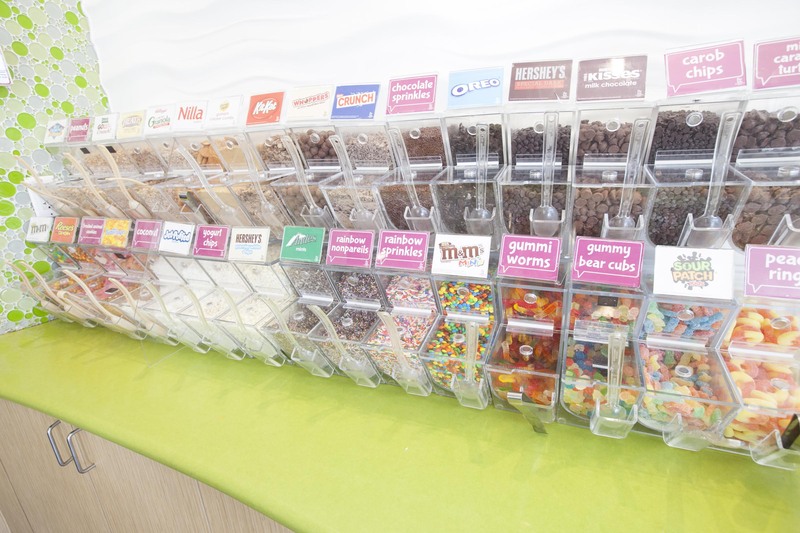 The novelty of watching automated levers dispense frozen yogurt into a cup and adding up to five toppings of your choice might make you smile the first time, but it would get old pretty quickly, especially if you dropped a cup or if the machine jammed. The automated experience can’t quite compare to how guests feel when they see that inviting tray of little paper cups for unlimited free samples. It doesn’t come close to the creative urge that kicks in when guests are faced with dozens of toppings that they can pile on as thickly or sparingly as they’d like. And it certainly won’t provide a place for people to sit and enjoy their own creative mix as they unwind with friends and loved ones. Smiles like these will never come from a vending machine. These are all things Menchie’s does not just well, but exceptionally well. We achieved the status of largest self-serve frozen yogurt franchise in the world because we understood from the start that what we really wanted to focus on was providing an experience like no other. A group of people walks into a Menchie’s. 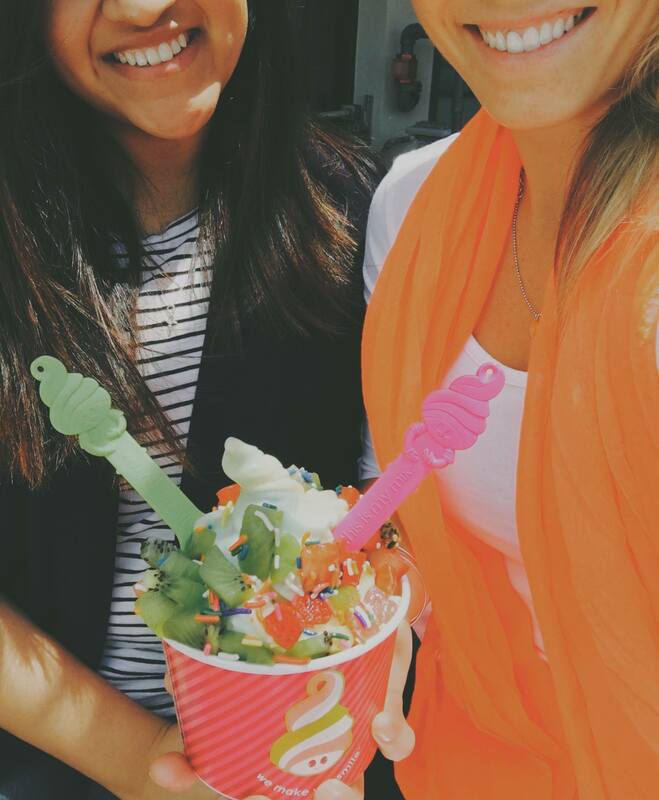 A smiling Menchie’s team member greets them, tells them to help themselves to as many free samples as they’d like. They’re laughing, talking, eddying around the frozen yogurt dispensers as they try a dozen or more flavors, decide which ones they want, then move on to toppings and sauces. They bring up their mixes, weigh, pay and all sit down together to enjoy themselves. What happens if a little one drops a cup on the floor? A friendly team member takes care of the mess and of course allows the little guy to replace it, no charge. The kids are drawing on the chalkboard and swapping character spoons. The adults are indulging in a fun frozen treat and unwinding. At the end of the excursion, everyone says goodbye to Menchie’s and waves back to the team members. They’ll be back, for sure. No vending machine can ever replace human interaction. And even if someone smiles the first time they see those robotic gears in action, what happens when something goes wrong, or if a cup is dropped? That smile drops pretty quickly, too. 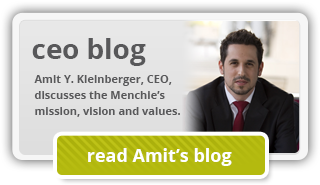 If you’re interested in froyo franchise opportunities, please take a closer look at Menchie’s. We’re the leader in our category, and our continued growth and success hinges on working with passionate, people-loving entrepreneurs who want to make a difference in their communities. Just fill out the form on this page to start a conversation with our friendly franchise representatives. We can’t wait to hear from you!